Some guys like the big stuff and for many, half scale is the new 33%! 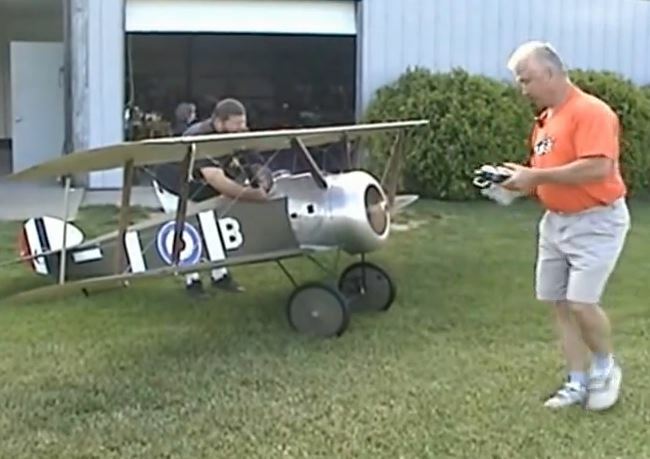 More and more 50% scale aircraft are showing up at RC events and so when we saw this video of William “Billy” Thompson flying his half-scale Camel at the Hoosier Dawn Patrol event we took notice. Featuring traditional wood construction, The Sopwith Camel is an enlarged version of the popular Mick Reeves’ design. Many thanks to Steve Percifield for posting this impressive video of “Billy’s” test flight! Nice job. Need more video. Nice, and if you follow the link to you tube on the right of your screen you can see the button for the first flight video. WOWWEE! Beautiful aircraft Billy! Very nice takeoff and landing. Way to fly that Camel! That was awesome video. Now for some dogfighting moves next? Yeah? Love to see more video. Love the sound of that radial. Mmmmm GOOD! I don’t think mister holden has a clue of what a radial sounds like. great looking airplane. Beautiful. Great flying field too. Great Job! Really nice. 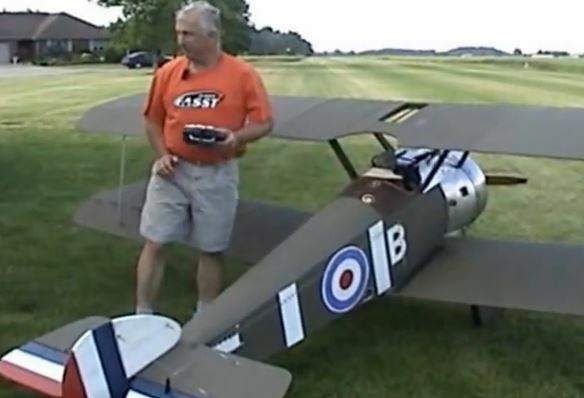 Makes me want to build my old 1/3 scale Sopwith still in the boxes from Balsa USA. Have a good one. Billy is an impressive builder and flier, plus an all around good guy. Love those old birds!!! Great construction and flying!! Where’s the Red Baron? !